Tanzania with Mefi - Katavi + Mahale + Ruaha. I rubbed shoulders briefly with a male chimp called Christmas on my trek up Mahale Mountain from Greystoke Mahale. Yes, you heard it right, this Safari had many firsts for me. Mzee Jairo, Sarina, Lisa, Drusti, Sally, and your's truly, Mefi. My third Tanzania with Mefi Safari. I was with three adventurous ladies. Sally, whom I have traveled together with before [and she's been on other private Safaris with friends and family in Tanzania where her soul lives]. Drusti, an Elephantopia member and her extreme love of elephants keeps bringing her back to Africa. She went to Zambia with Journey To Africa. Lisa, a Safari newbie and I can safely say, the Safari bug has bitten her. Sarina, a single traveler who became part of the group was a true city girl who definitely warmed up to nature. 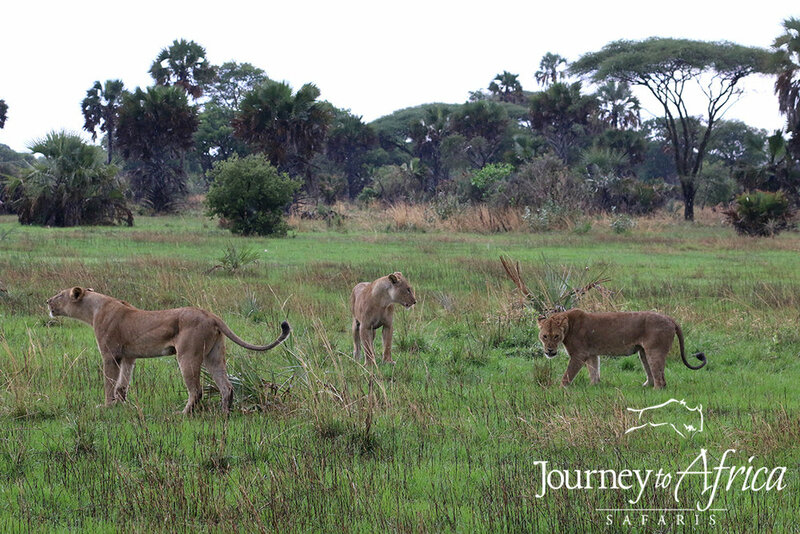 Our first stop in this epic adventure was Katavi National Park; a remote park in Western Tanzania. So remote, there are only two flights a week. On arrival, we meet Mzee Jairo with Chada Katavi. A quiet man, but a hawk. His animals knowledge, instincts, and his eye-sight lead us to some amazing viewings. We had an up-close [about 10 feet away] encounter of two hippos fighting - heart pumping moment, saw three lioness fight which was a #natgeo moment, healthy numbers of lionesses and lion cubs, beautiful birds including the ever beautiful lilac breasted roller, listened to bone-crunching sounds by a leopard enjoying lunch right above us, and spotted the elusive elephants of Katavi who were hiding in the bushes. 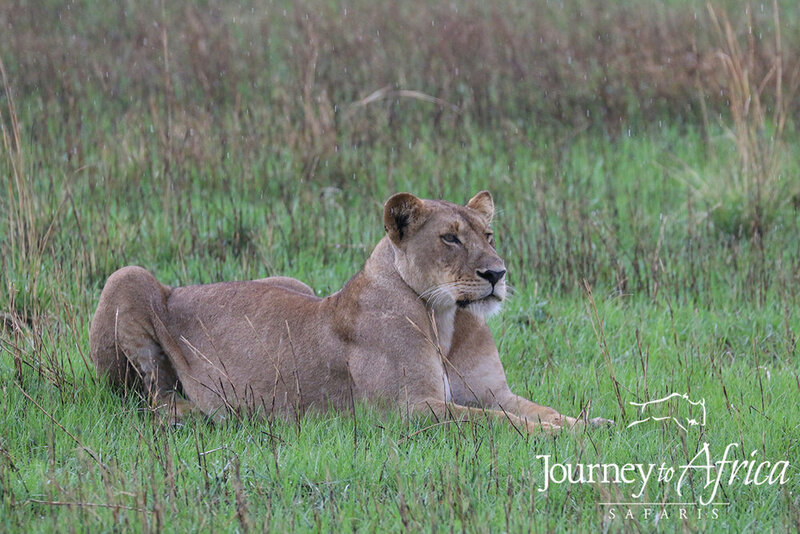 Katavi was wet as the short rains had already arrived in this part of Tanzania. This made the landscape so fresh and green. The drawback was that it was muddy and at times buggy but really, it was a non-issue if you go with the flow. Katavi, in the low season, can become your own private park. With very few camps, we spotted 2-3 vehicles a day. We stayed in Chada Katavi which is truly a rustic lodge. Eco-bathrooms and outside showers in comfortable tents with fans and charger in the room. The staff at this camp were amazing. By day two, they knew our drink preferences and would have them ready on arrival after our game. In case you are wondering, mine is warm water with lemon. Perfect for a cool evening. On to Mahale Mountains and magical Greystoke Mahale. I had been dreaming about this place for years. To see the chimps and to experience this place that everyone says is one of the best places in Africa. I concur. The Nomad Tanzania group at Greystoke have got it down right. From the introduction to the fantastic guides on the boat ride to Greystoke, the terrific crew in the camp, the ultra-comfortable rooms, activities outside of chimp trekking, and more. Guide extraordinaire Butati, ranger Husein, me with my huge smile, uber-guide Mathias who I am so grateful made to go on my second hike as we saw so many chimps. But, the dream was the chimps. And we were all touched, literally. Special shout out to guides Mathias and Butati who lead our group, TANAPA rangers especially Hussein and trekkers who go out early to spot the chimps and let us know when to start the hike while we wait, all ready to trek at a moment's notice. We had four nights at the camp and every minute was throughly enjoyed. The first trek and the first chimp I saw was a baby chimp. And then, drum roll, we spotted the back of Primus, the alpha male leader of the M-group. I was shrieking inside and smiling so hard but did not let out more then a little peep. The 1 hour with them went by too fast but each second was amazing. What we saw was typical human-like behavior - Primus waiting on his lady Yuna to get moving. And because he is alpha, a grooming session with another male chimp. What a pinch me moment! Second trek, we had a lot more chimps interacting. Christmas, a male chimp walked right by my shoulder and started shaking a tree towards me which hit my backpack - he is the one you see me photographing. No hard feelings Christmas. Apparently, he was aiming at a fellow guest who Christmas did the same action last time. Primus and Yuna where having their moment together - Primus is making sure his DNA is passed on. Also, within the hour, we saw a whole scene where Juno, a female did not want to mate with Primus, and was screeching loudly, and how the other 5-6 males - including Christmas - were trying to get in their turn with her but in the end, Primus prevailed. And calm Sally had Primus right by her as well when she and Mathias got super close to the mating action. Every minute of the 1 hour with them was filled with excitement. The days we did not trek where enjoyable as well. Our group plus other guests at Greystoke, Mathias, Butati, at that time manager Julien and Hussein played a few rounds of 'The Bowl' game and Kingdom - ask me if you want to know how to play. We also got to take a magnificent sunset cruise on Lake Tanganyika and swim the blue waters of the deepest lake in Africa. Total bliss. November is the rainy season and that makes the trek slippery and also because food is abundant higher in the mountains, the chimps move up. Anyone who wants to go see the chimps, need to be physically fit. We trekked 4-6 hours minimum each trek up and down. Tips for trekking Mahale Mountain and how this process happens - read here. * Best time to come to Mahale for chimp trekking; dry season which is July to October but why November, low season rates. Mahale Mountains and Greystoke - you spoilt us and I can't wait to get YOU to experience this splendid place. Our final park in Tanzania, wild Ruaha National Park. 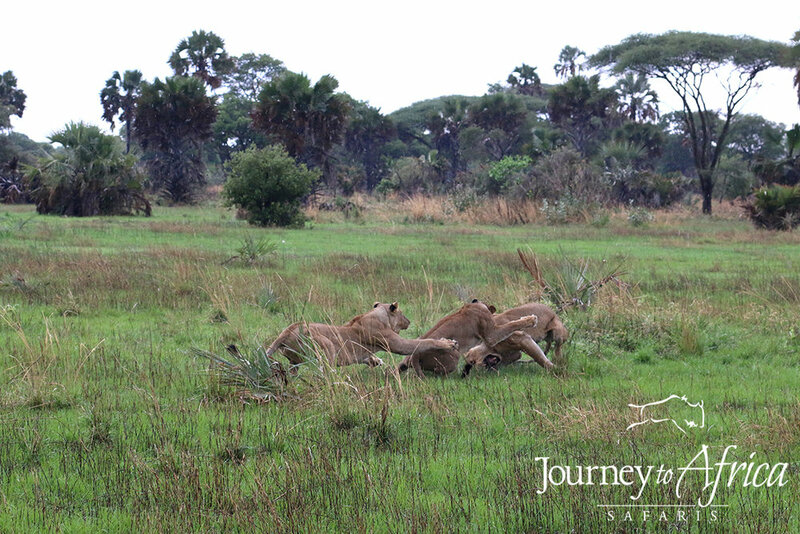 Ruaha is larger than Serengeti at 8,000 sq. miles. Serengeti is around 6,000 sq. miles. 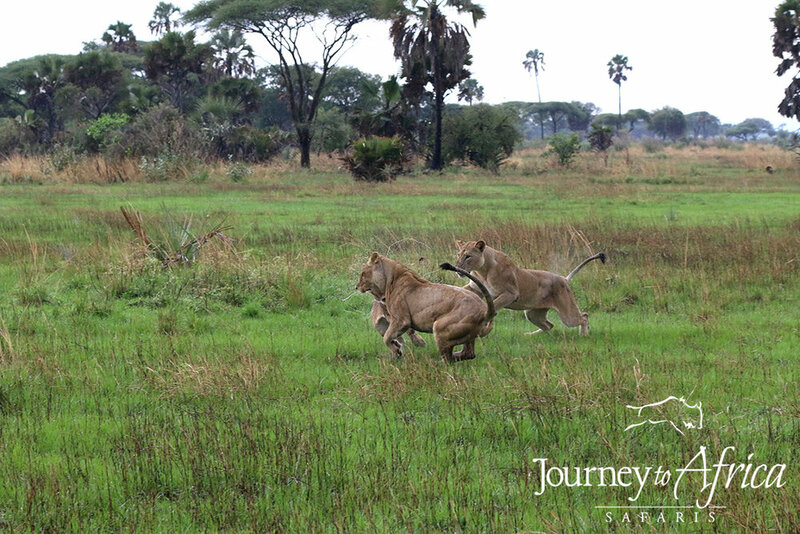 The last time Sally and I visited Ruaha was in May 2015, right after the rainy season. It was green, with tall grass that we had a hard time spotting wildlife - but we still loved the park so much that we came back. In November, the rains were not here yet and the park was dry as a bone with short grass. Every season has it's advantages and keeps it fresh. 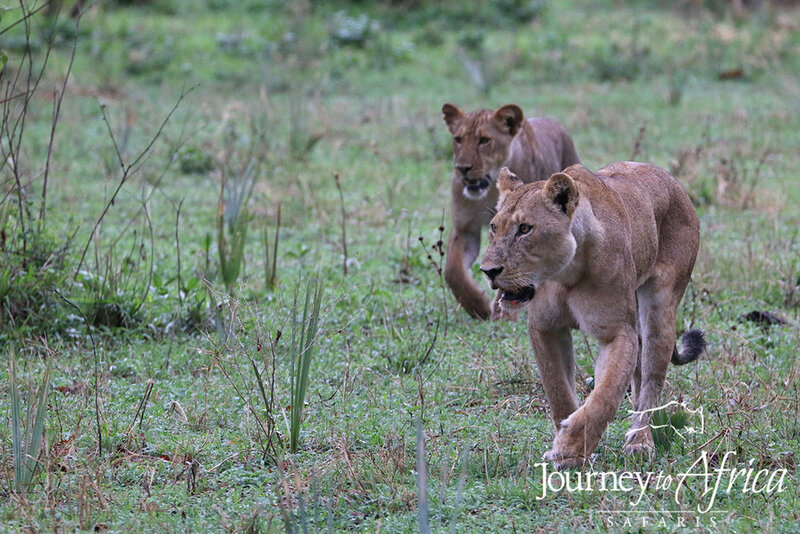 Because it was dry and grass was short and not bushy, it was easier to see large herds of elephants, five cheetahs - a mom and her cubs having just hunted, huge buffalo herds, and finally a pinch me for me, wild dogs. What a thrill. 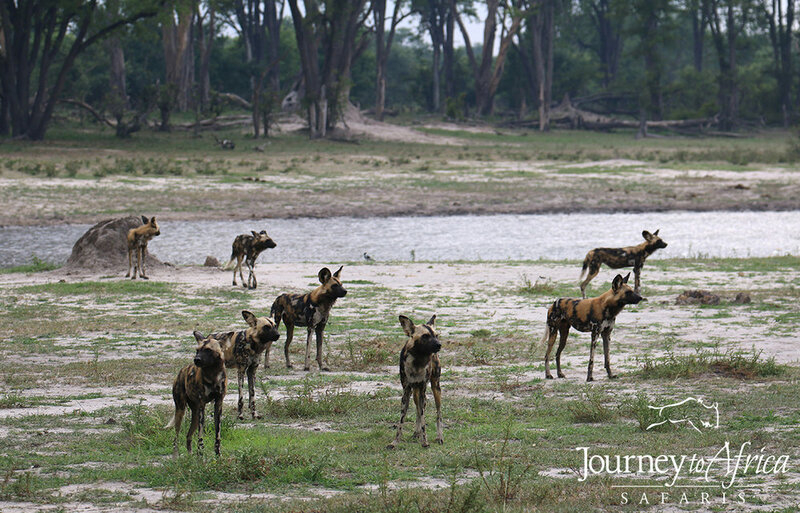 Elly, a guide was taking us for a night game drive and boom, a pack ran in front of our vehicle. The sun was setting casting a reddish orangish glow on them. A few minutes with them and they were gone. Wow! We spent time in Kigelia Ruaha, another beautiful Nomad Tanzania property. The camp has flush eco-toilet, hot and cold water bucket system for washing hands and face, filtered water for brushing, and outdoor shower. The camp currently is overlooking a river and dinner by the banks, under the stars was lovely. This truly was an Epic Safari with some amazing memories and #SafariStories made with old and new friends. To many more! 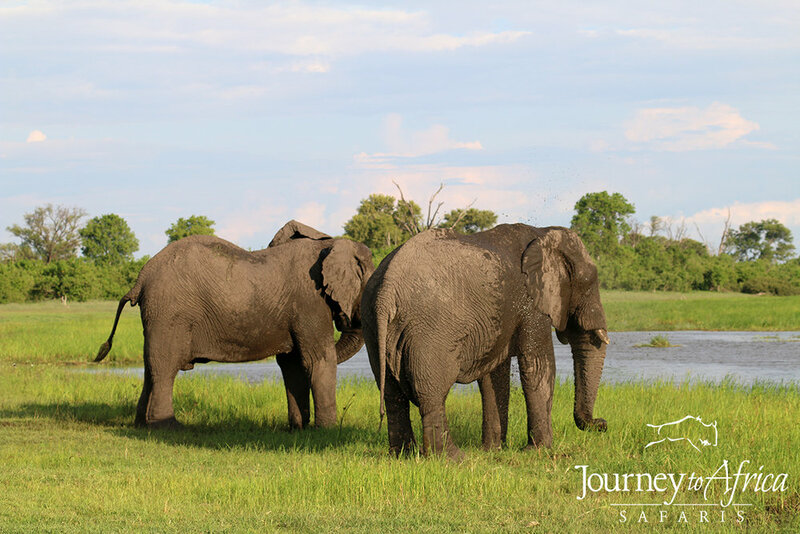 Want to head out on Safari and create your own Safari Stories? Yes. 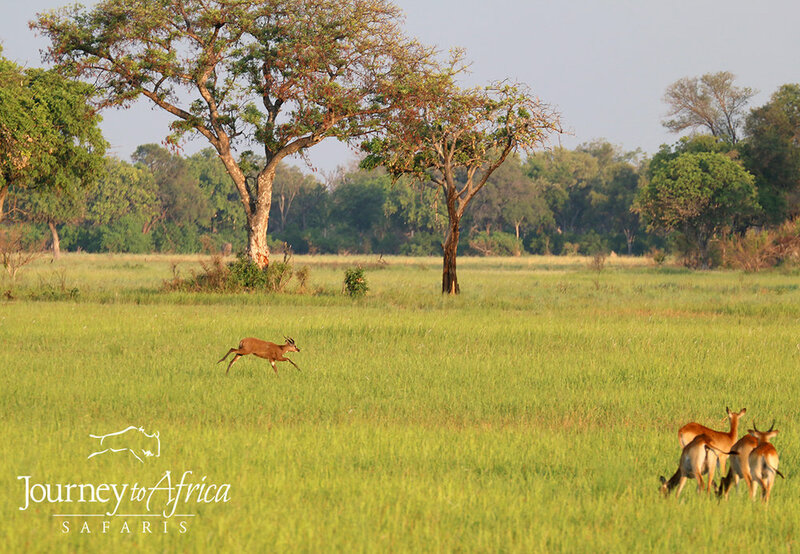 As we bid another year good-bye, we are grateful we got to show You the beauty of Africa. The range of wildlife, birds and other creatures in the amazing National Parks of Africa, the chimps of Mahale Mountains and gorillas of Rwanda, the warm people, the blue waters of the Indian Ocean or Lake Tanganyika, the highest peak in Africa, Mt. Kilimanjaro, and much more. 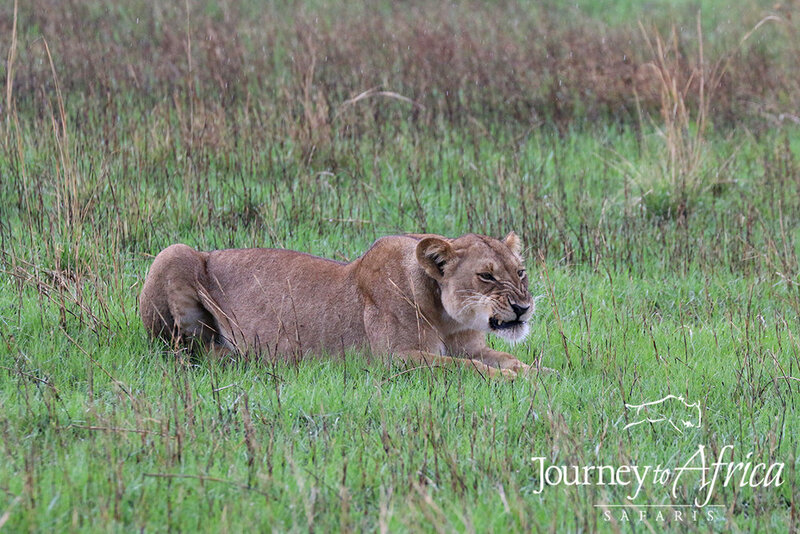 There is just so much to love on an African Safari. Thank you for letting us share our love. Cheers to 2017. We welcome you.